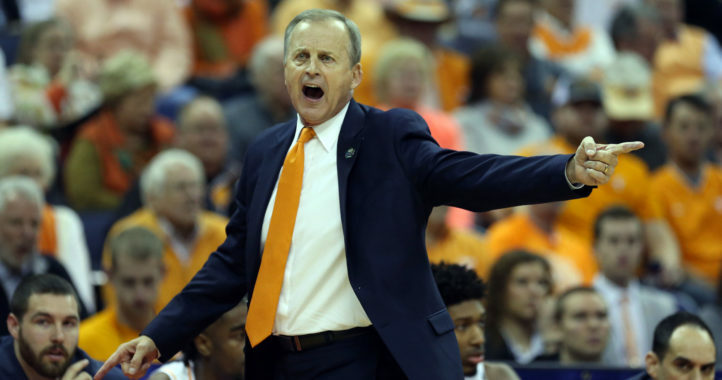 Survive and live to fight another day will likely be Rick Barnes’ message to his No. 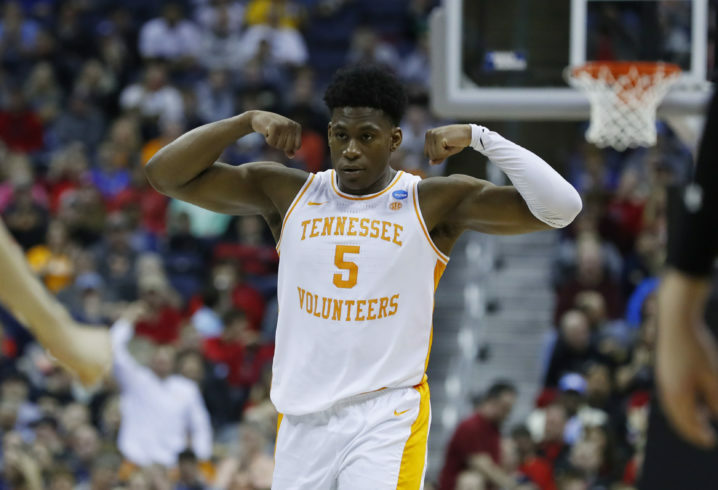 2 seed Tennessee team as the Volunteers were pushed to the limit by No. 15 Colgate on Friday but won 77-70. A serious cold streak resulted in Colgate holding a slight lead midway into the second half but a rejuvenated defensive-minded Tennessee came out and locked down Colgate on enough possessions in the final 10 minutes of the contest to earn the win from Columbus. Admiral Schofield hit two clutch three-pointers in the closing moments of the game to seal the victory for the Vols. Schofield led the way for Tennessee with 17 points, Jordan Bone and Jordan Bowden added 14 and Lamonte Turner chipped in 13 in the game. No other Volunteer reached double-digit points against Colgate. Grant Williams managed only nine points after battling through foul trouble. One positive to point to for the Vols in this matchup was the fact the team had only eight turnovers to Colgate’s 13. With this win, Tennessee improves to 30-5 on the season and will face No. 10 seed Iowa on Sunday in the Round of 32 for the right to advance to the Sweet 16.
Colgate averaged 39% from 3 this year (which puts them in the top 10 in the country). They hit 51.7% today. For the first 12 minutes of the second half, it felt like they could toss it from half court, behind their back, and still make it. Yes they were on fire,,,, Great game and thankful to advance!!!!! Colgate shot 51% from 3 as you say. That, in fact, is their game. But, that is also UT’s Achilles heel (see Auburn). We’ll take the SEC win though. 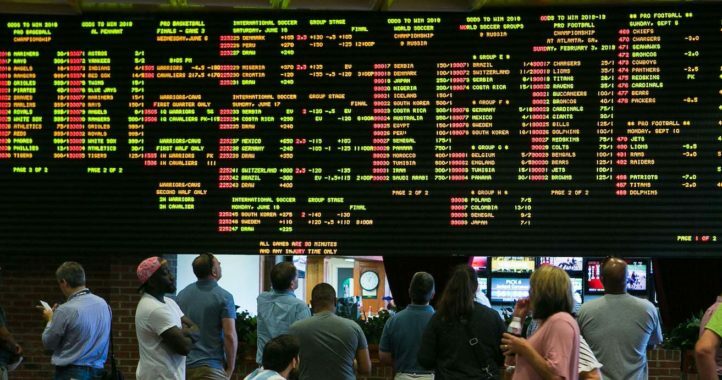 SEC should be happy that Colgate played the VOLS and not KY, KY would be out right now. Solder why do you say that? I disagree. I thought we came out inspired and ready to put the auburn meltdown behind us. Then came the second half. Our offense was stuck in quicksand it seemed like. One guy dribbling and the other 4 doing a lot of standing around. Bone seems to have cone unraveled a bit the last two games. Out of control drives into the paint that result in a turnover several times. I thought our D played well for the most part. There were some head scratching wide open 3’s allowed but I guess you have those against the team who leads the nation in 3’s. I liked how the maturity rose near the end and took control but wish we had a bigger lead instead. I don’t know anything about Iowa but picture them as a physical team like us. Might be another close one. Anyway a win is a win. Regroup, rest up and get ready for Sunday. Well, I live in KY because of Fort Knox. KY fans said they will last longer in the tourney then TN. They HATE TN! So? Tell them we hate them too! Problem solved! Come on solder. Of course they hate us and of course they think they will last longer. Does that surprise you? Some of the games I’ve seen so far, WHOA! The range some of these kids have is astounding. Those cold spells though, geez o’flip!